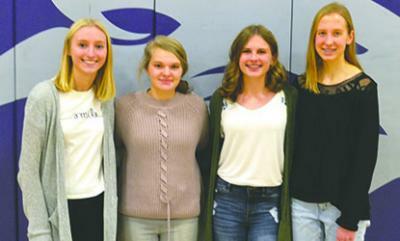 Four Panther girls were selected for a Lions award for essays that each wrote individually. The topic of the service-based essay was, "Reaching for new horizons through service. The girls are, from left: Hope Kosek, Lyida Rakow, Rachel Trebsech and Kendra Klobe.